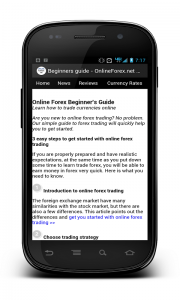 We are happy to present the first, basic but useful, initial version of our currency trading Android app for OnlineForex.net, where you can follow our most recent news posts, the daily currency rate fluctuations for the major currency pairs, use our forex glossary, read some of our articles, e.g. “Learn to trade Forex online”, see all of our online forex videos when you are on the go and much more. All of this is specifically brought to you in mobile format and you can now download our app directly from Google Play. 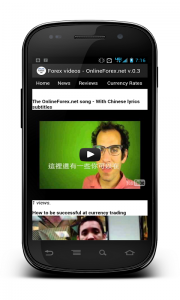 - The Online Forex dot net app is available to over 1482 different type of Android devices. - It has been downloaded close to 200 times. - The OnlineForex.net app has been rated 4.9 by all the users so far. The forex broker Plus500, which we also previously reviewed here on OnlineForex.net, valuates and rates their traders per country. 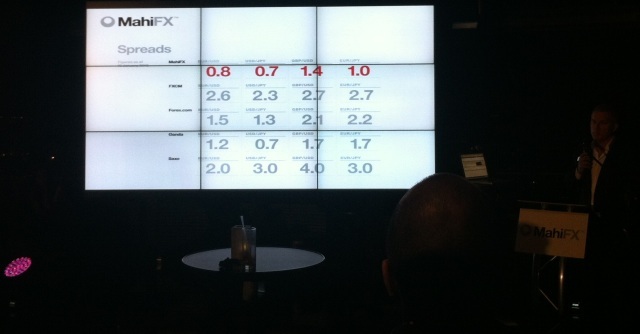 Ex-Barx David Cooney launches new proprietary-built retail forex trading platform MahiFX with focus on tight spreads. The official launch date is February 20th 2012 but on February 2nd MahiFX had the initial release party to a selected number of Forex specialists. 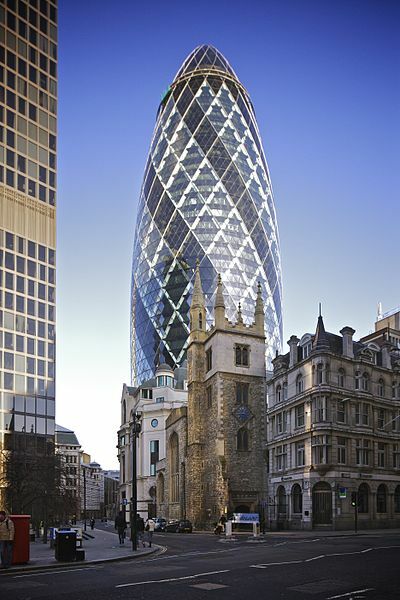 We at OnlineForex.net were some of the selected few participating in the London financial district, in top of the world famous Gherkin building. We at OnlineForex.net are happy to now offer You a free signup and trading gift if you signup with one of the brokers listed with the tag, in “The best forex brokers” top list. American magazine SmartMoney made a ranking of forex brokers earlier this week. 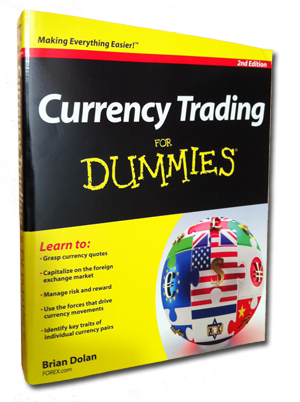 Their review include best forex education material, software, actual spread and customer service. Best education material was provided by TD Ameritrade, according to SmartMoney.com. 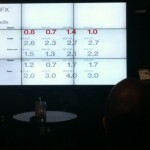 They have both clear and accurate fx education material, but was not significant better than most other brokers. FXDD was the losing broker in this chapter. Reason for their loss is that it is hard to navigate and they offer very basic material. Meta trader software is state of the art, it seems like. However, TD Ameritrade’s software was the least impressive in the review. When SmartMoney.com measure actual spread, FXCM actually lost. This might be a surprise, since they have a rather low absolute spread. But in reality, it often gets wider during volantile market conditions. 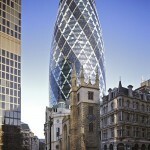 Worst customer service in the forex review by SmartMoney is offered by Alpari. In the worst, you have to wait over 20 minutes to get support from Alpari. I rather suggest going to ForexYard instead if you want quick customer support. What do you think? Any favourite forex broker? Which Forex Trading Platform is the best? About to choose a new forex broker? Then you should check out the newest and perhaps most detailed fx platform comparison site out there: ForexTradingPlatforms.net.